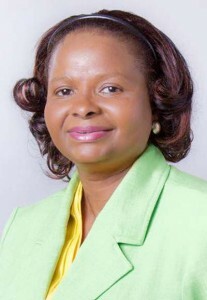 Minister of Social Protection Volda Lawrence urged Guyanese to join the fight against Human Trafficking as the government will be recommitting to consistent enforcement of the Trafficking in Persons Act of 2005, and added that severe action will be taken against perpetrators. “Trafficking in persons is a result of poverty, oppression, and lack of human rights, lack of social or economic opportunity, political instability, civil strife and other occurrences that push and pull people in search of a better life. “The people who perpetuate this crime against humanity are those who are trusting and promise to provide a better life. The better life then becomes a nightmare for many,” the minister stated. She emphasised that Guyana joins the rest of the world in registering its voice and committing to action against trafficking in persons. Minister Lawrence told those gathered that trafficking in persons is one of the most despicable acts against humanity and is usually described as modern-day slavery. In addition, the Minister pointed out that the United Nations estimates that at any given time, there are about 2.5 million people – many of whom are children – that are trapped in this global industry. According the 2005 Act, persons associated with the trade will be exposed and punished according to the law. The act states that persons charged for such a crime, should stand the cost of medical and psychological treatment, necessary housing, transportation, lost income, attorney fees and compensation for emotional distress and pain among others. Also, victims are to be supported in their recovery and reintegration into society at the expense of those convicted of this heinous crime. The minister shared that the government intends to enforce the law but will need the commitment and assistance of many to bring an end to human trafficking. She stated that trafficking in persons is a threat to the fundamental human rights of freedom and human dignity, and the country’s counter measures must therefore be at least as strong as the threat. The Minister declared that the government intends to boost the capacity of the responsible department to improve its operations and expand its reach, and noted that “it is a matter of urgency and we must further decentralize our efforts to allow for wider geographic coverage and strengthen networks to prevent this crime”. Lawrence stated that “it is crucial that the government forms partnerships with civil society groups and communities to identify and report suspected cases, and mobilize greater resources, especially trained human resources to strengthen the response from the time we receive a report to the time of rescue”. 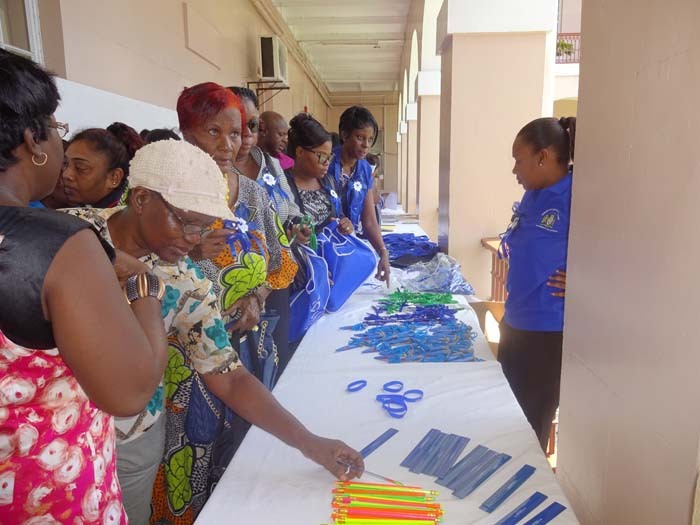 The Awareness Exhibition presented by the Ministry of Social Protection will conclude today and strives to impart greater knowledge of Human Trafficking and ways the issue can be brought to an end in Guyana. The General Assembly of the United Nations adopted the Global Plan of Action to combat Trafficking in Persons in 2010. This is to urge governments, worldwide, to take coordinated and consistent measures to defeat this plague. The integration of this plan is widely needed for the UN’s broader programmes in order to boost development and strengthen security worldwide. One of the crucial provisions in the plan is the establishment of a UN Voluntary Trust Fund for victims of trafficking, especially women and children. Tanisha Williams, acting Coordinator of the counter-trafficking unit of the Ministry of Social Protection told Kaieteur News that TIP awareness will be implemented in schools, especially on the secondary level. Williams added that even though it is important to bring awareness of all forms of human trafficking, Guyana is more susceptible to forced labour and sexual slavery. As it relates to the other forms of TIP, child exploitation is one of the many hot spots for the Ministry and they will continue to work on eradicating all forms.